"Functional Medicine asks HOW and WHY illness occurs and restores health by addressing the root causes of disease for each individual. 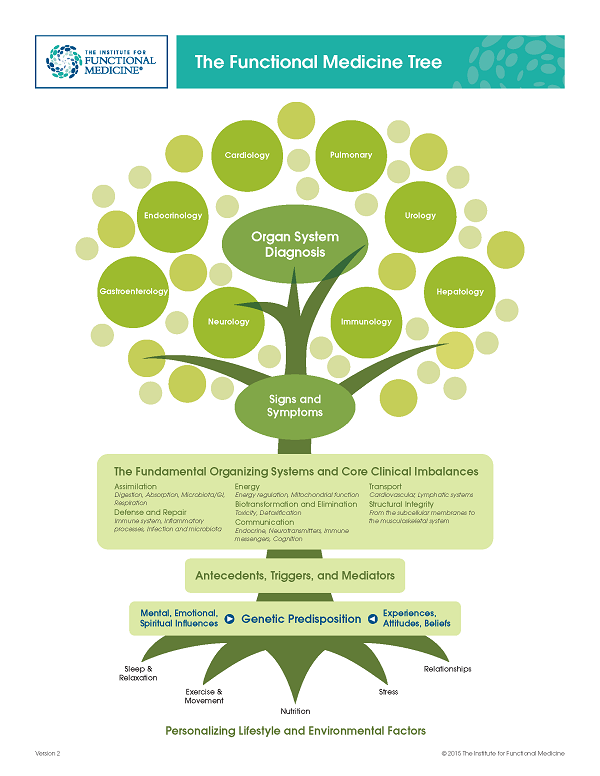 By addressing root cause, rather than symptoms, practitioners become oriented to identifying the complexity of disease. They may find one condition has many different causes and, likewise, one cause may result in many different conditions. Start Here for a Functional Approach to Optimal Lifelong Health!